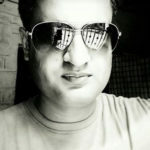 Mr. Abhishek Purohit is A well Known Name in Jodhpur City in Computer IT Field from Last 15 Years. He Had Been Work in Mumbai and Jaipur with Multinational Company as Network Engineer as He was 2nd Topper in MCA 1st Batch of IGNOU in home town, he Decided to Join Computer Hardware and Networking field as Career for Betterment of Networking Coaching and Training in Jodhpur City. 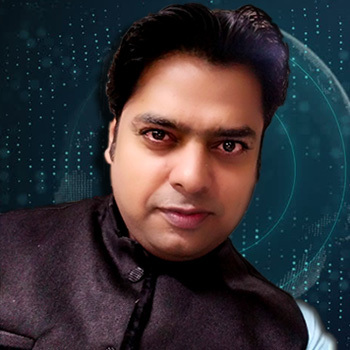 During His Learning Days he had Cleared all Essential International Certification required to be a Network Engineer, like CompTia A+, CompTia N+, MCA in Server 2000, MCSA in Server 2003, CCNA V 2.0, RHCT. After Working 5 Year in Mumbai and Jaipur he Decided to come back in his Home town with a Mission. He Started His Job with Jetking infotrain Pvt Ltd. as A Technical Head in Jodhpur City. 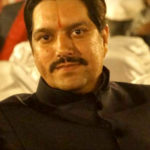 After working 4 year with them he decide to provide Batter Technical Education with Lowest Fees and With Placement Facility, So Resultant he Put the his Own thought and Mission in Shiksha Computer Hardware and Networking Institute in Year 2009. In This Decade he has been Trained 2500+ Students in Hardware and Networking Industry and placed 400+ Students on its Own. Many Students of him is Working in Reputed Multinational Companies Like Wipro, HCL, Cairn Energy, Accenture, Sify Corporation, Talent Maximus, Engineering Colleges and Share market with, Proficiency and Competency. With this all He Is Updating his Skills Time to Time as per Corporate Needs and Demand. Shiksha Institute has Now Tie-up With Sify Corporation and NxpnetSolutions To Provide System and Network Engineer. His Wife and Co- Director Mrs. Neha Purohit is also MCA Graduate and Supporting Well in The Field of Student Personalty Development and English Spoken with Efficiency.